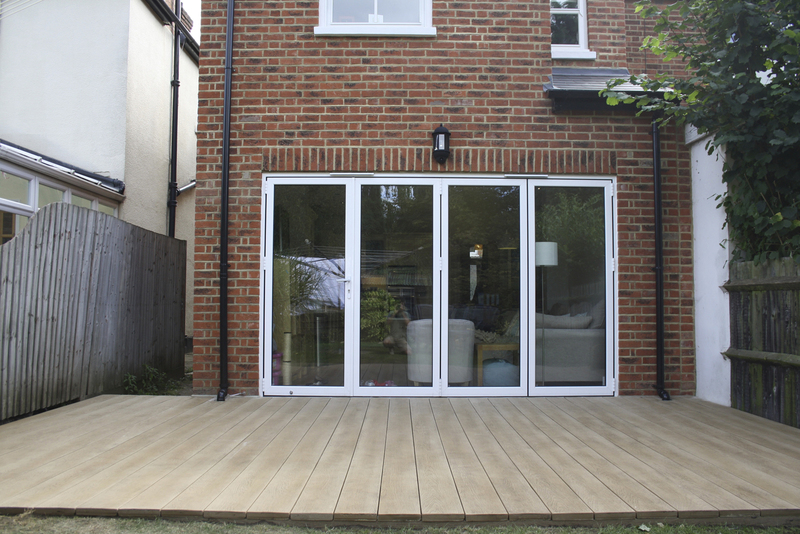 Decking installation is an extremely popular choice for our Surrey and South London clientele, providing external terraces and patios. 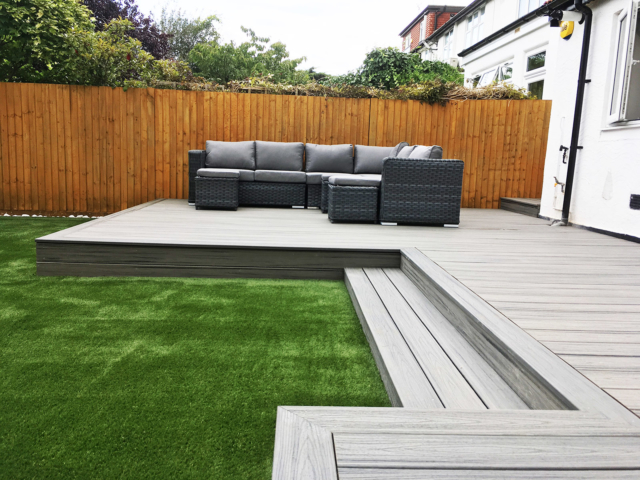 Our hardwood and composite decking gives a beautiful, natural finish and can be used to great effect in almost every garden, adding texture and warmth to the garden’s palette. 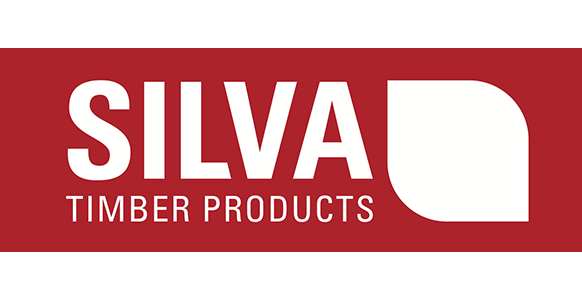 A warm hardwood timber such as Ipe, Balau or Kebony, or a stylish softwood such as Western Red Cedar or Redwood, these natural woods are unrivalled for beautiful appearance and natural warmth. 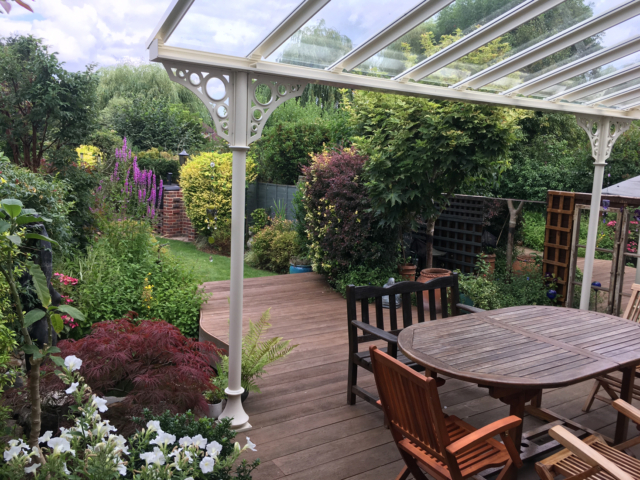 However, if a virtually maintenance free deck sounds more appealing, over the past 10 years Greenscape Gardens have been installing the market leading Millboard composite decking. 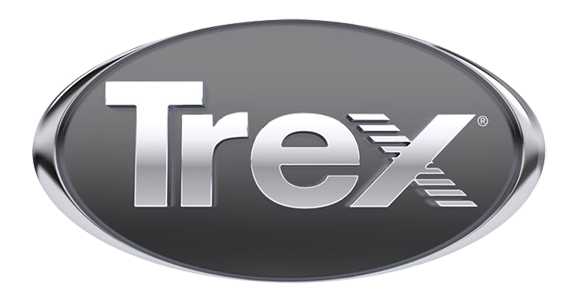 We also install decking from other leading composite decking manufacturers including Trex and Ecodek. 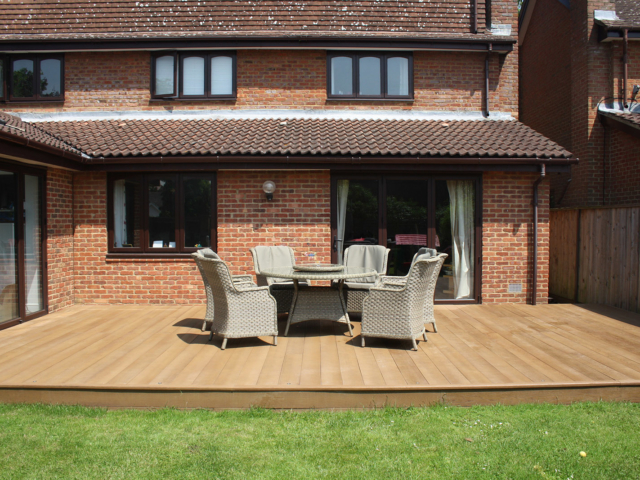 Composite is normally a little more expensive than natural decking, but requires little maintenance other than pressure washing to keep it clean! 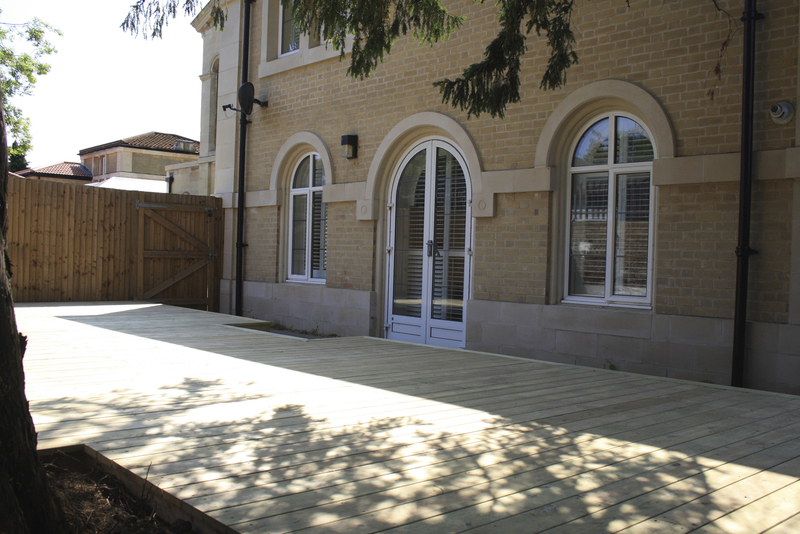 What may cost a little more to begin with, reaps benefits over the years with no wood treatments or sanding required! 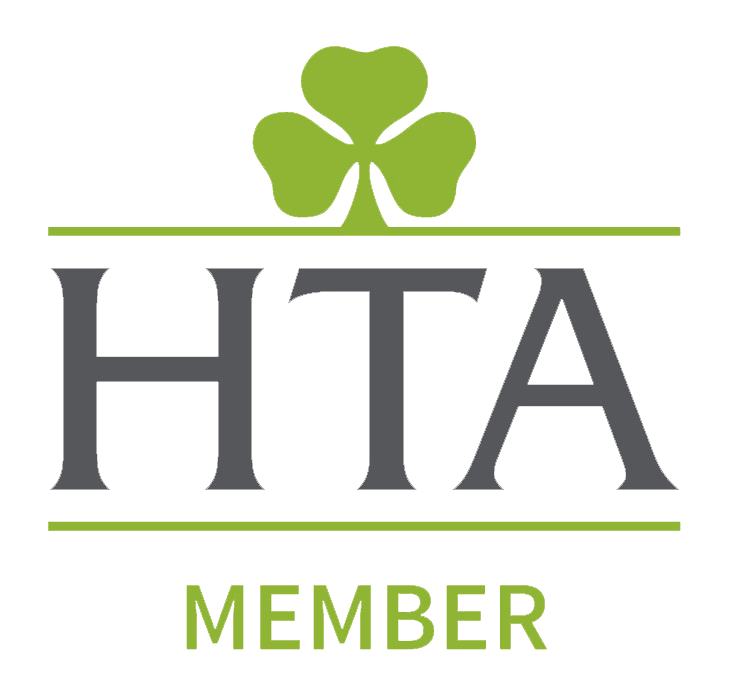 In our opinion it's definitely worth considering! 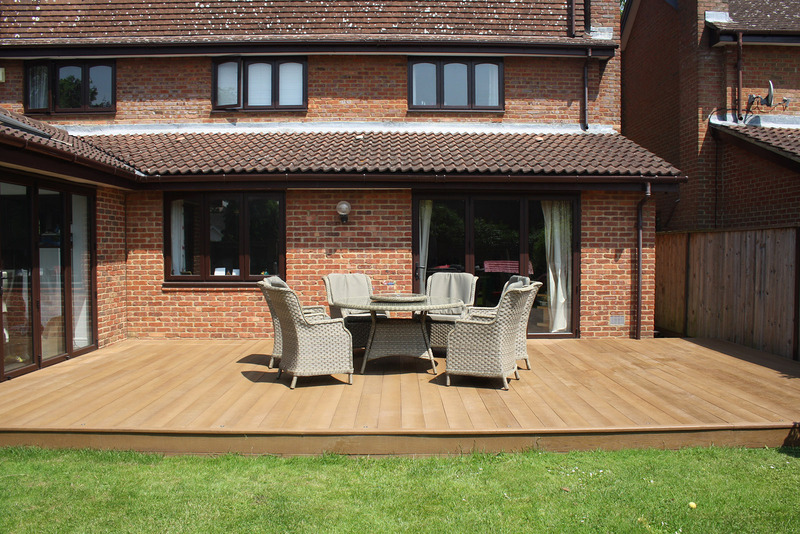 We will discuss with you which way the decking boards should be installed. When trying to match an interior floor, front to back may be the best option. 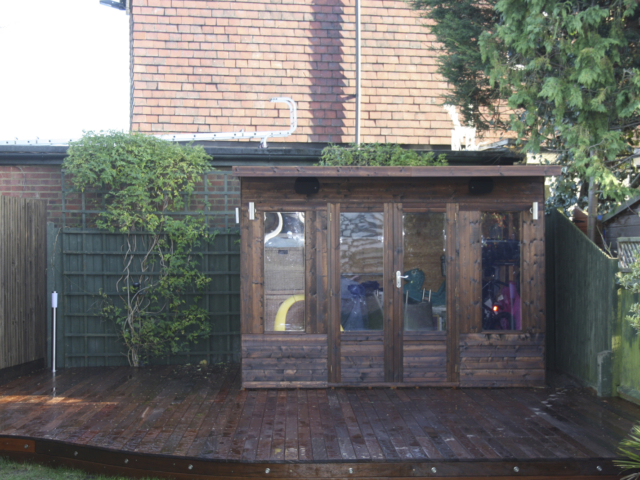 Other times, to emphasise space, or to reduce waste, left to right may be the best option. 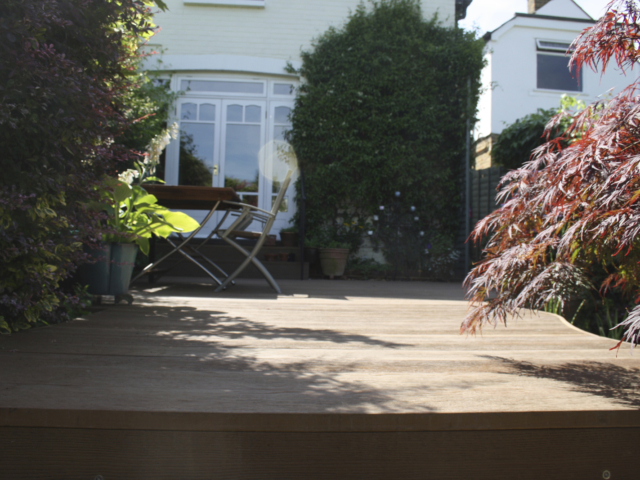 The construction of your deck normally begins with the removal of your old surface, whether it be an old deck or patio. Next, a frame is required to support the deck. 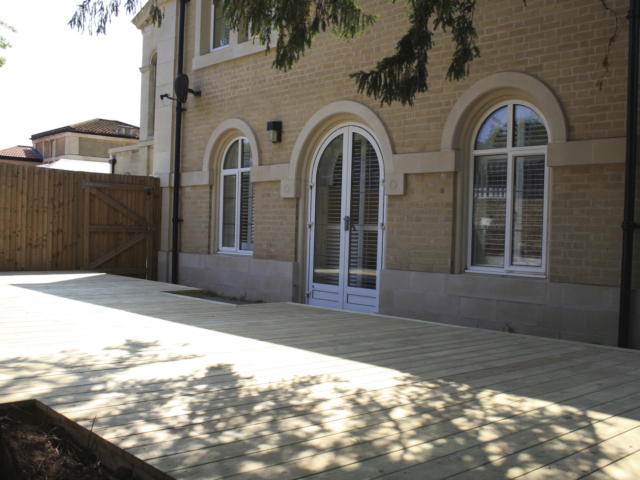 This is constructed by either timber or composite joists, which are fixed to posts that have been dug and concreted into the ground, or fixed to masonry. 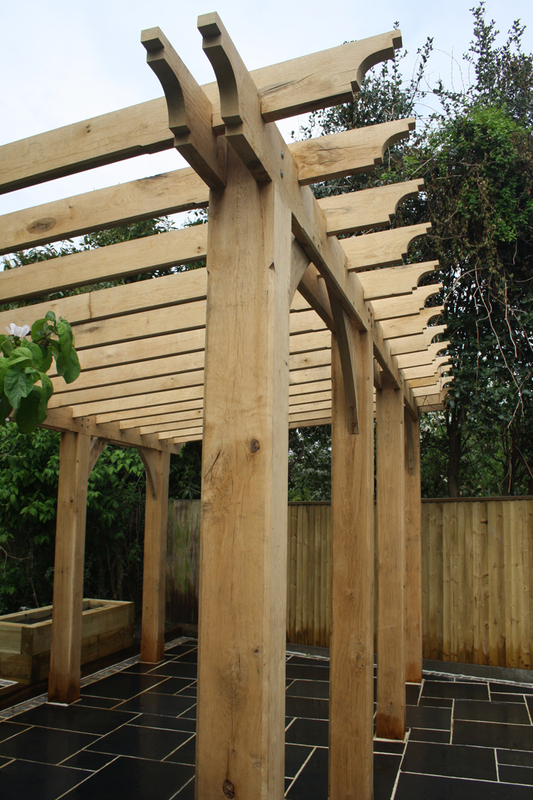 The frame is normally constructed with joists that are 400mm apart, this helps keep the deck sturdy. 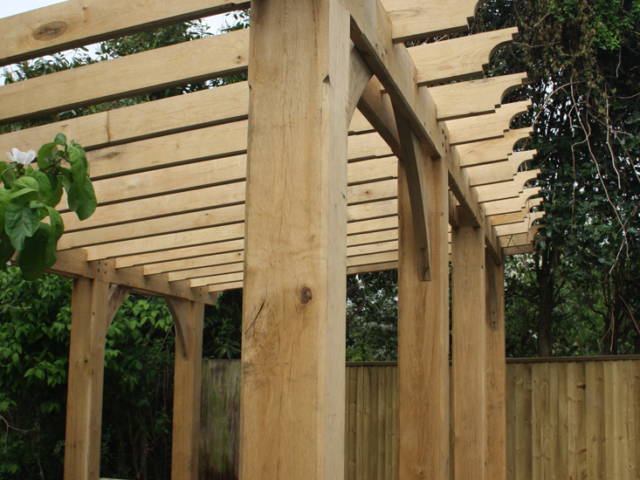 To add stability, timber noggins are then added. 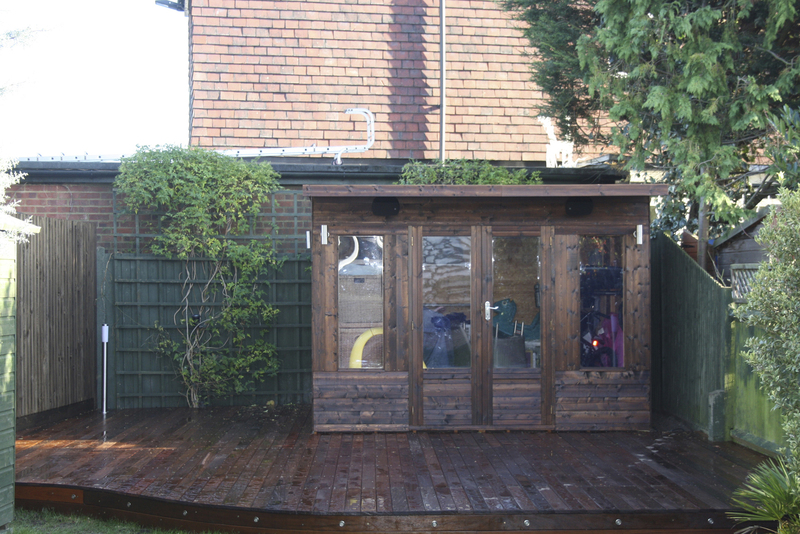 Once the frame is secure, the decking can start. A slight fall would normally be required to assist with drainage. 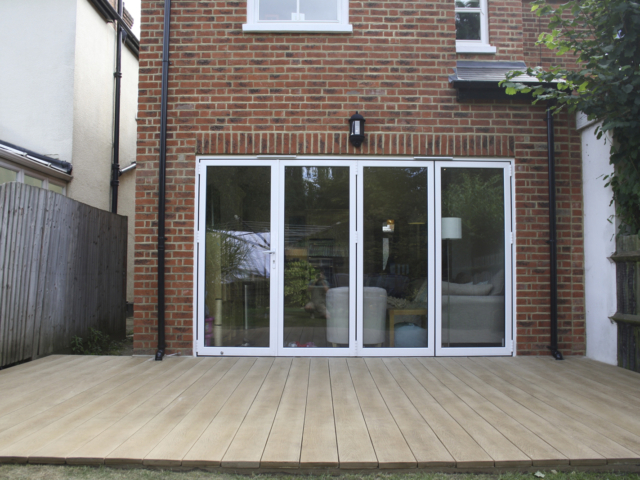 There are many different fixing systems for every type of deck board, including stainless steel fixings or ‘hidden fixing’ systems. This would have been decided before installation. 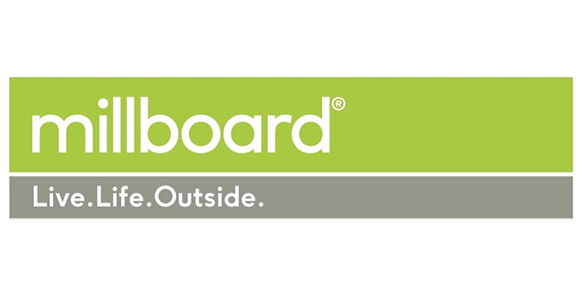 The first board will be fixed in the desired direction, ensuring is square with the house. 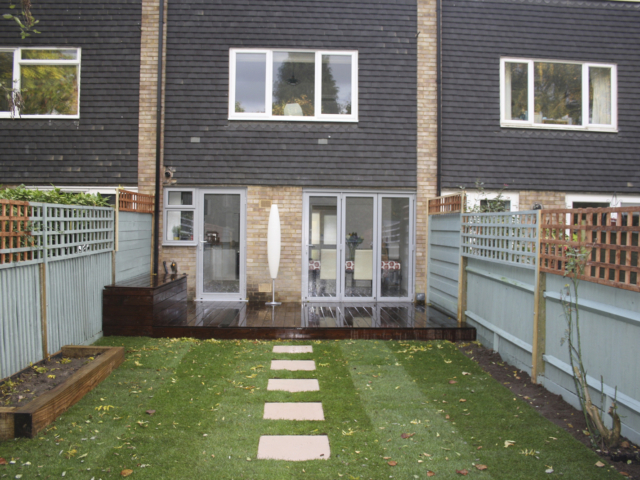 The subsequent boards will be installed square with the first board, allowing spaces for drainage. 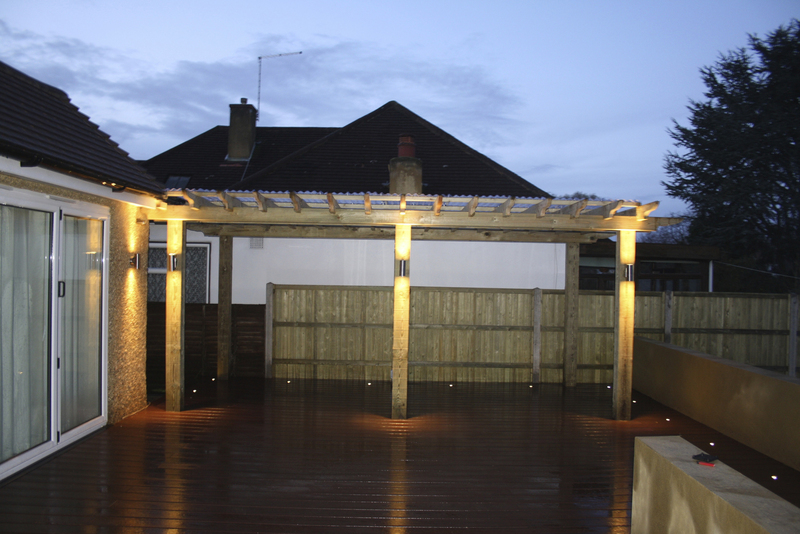 There are other features that can really propel a simple deck to a stunning garden structure. 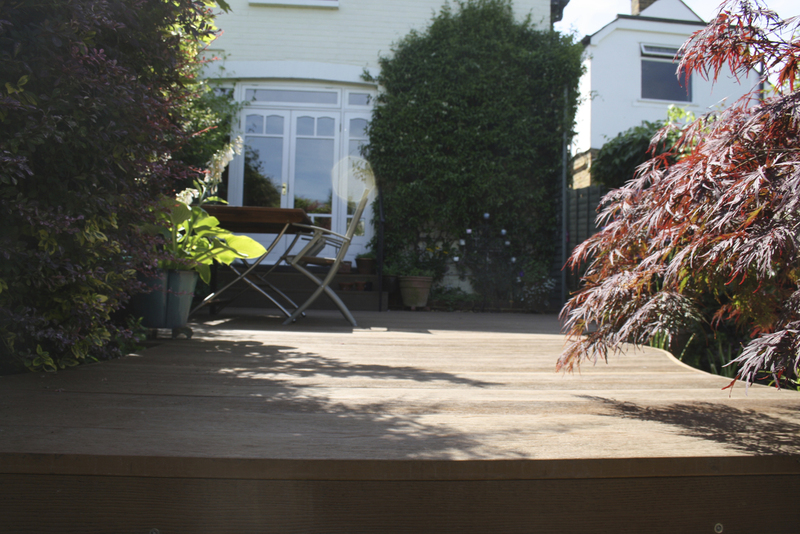 The addition of edging boards, steps, lighting or a balustrade can take a deck to another level. 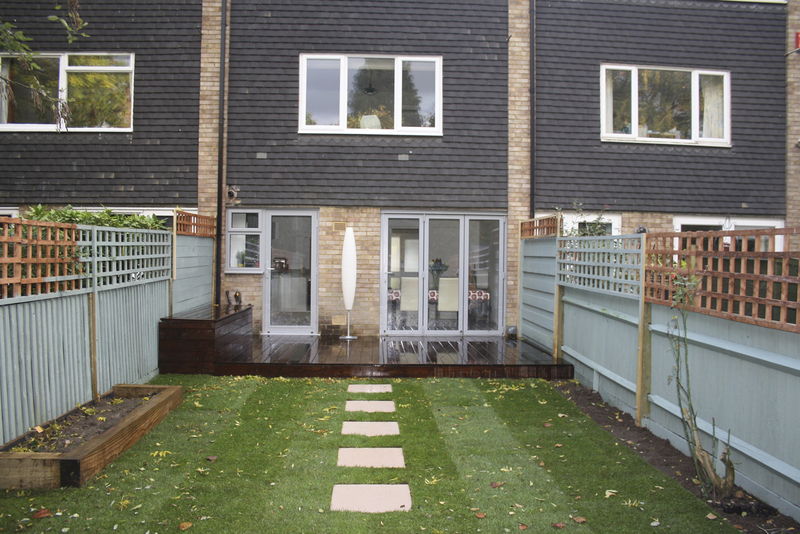 Greenscape Gardens have been specialising in decking installations for over 15 years. 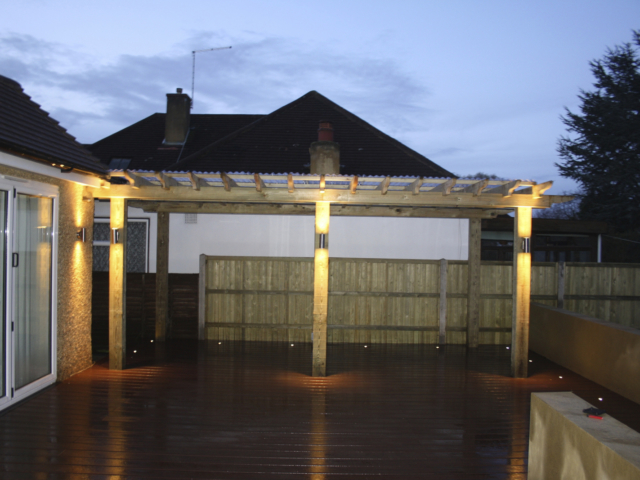 We can assist with all your decking requirements from the simplest structure to an intricate design with steps and in-built lighting systems.